This adorable bonnet is classically cute! 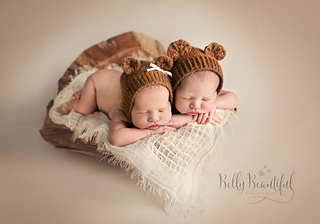 What could be more adorable than dressing up a little one as a snuggly little teddy bear? This is a beginner-intermediate level pattern. This pattern calls for Sport Weight (2) Yarn and size 4.25mm (G) crochet hook OR whatever size is needed to achieve gauge. Thank you to Belly Beautiful Portraits for the amazing photo! 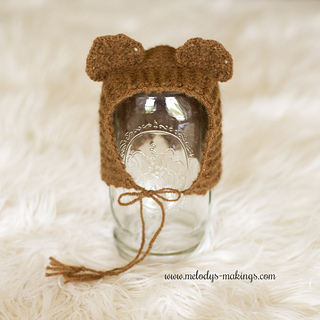 Sign up for the Melody’s Makings’ Newsletter to get 2 free patterns right away! There’s always enough yarn, love, and patterns to go around.